Siliguri corridor or chicken neck of north east India is a small stretch of land which connects the north- eastern states to the mainland India. This 21-40km land mass is the only land access to northeastern states from the rest of India. The railway line passing though this corridor and NH 31 are highly critical to India. Talks are always on air about the land access to North eastern states through the rivers of Myanmar and Bangladesh. Both these proposals have a major degree of success. 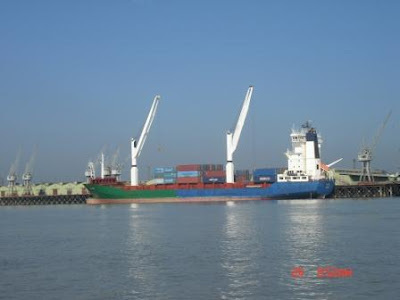 Recently Bangladesh agreed to allow Ashuganj as new port of call for transporting heavy consignments to Tripura for the proposed Palatana power project as well as the use of Chittagong port by India. Both countries are agreed to sign a deal for the Indian access to the port by May 2010. According to the proposed agreement cargo vehicles could carry containerized cargo for intercountry or for a third country transfer. Vehicles used for cargo transportation will get 7 days permission to stay with in the territory of other country, while private vehicles will be allowed to stay from 5 days to 1 month. Vehicle's crew will get multiple entry visa for 1 year. According to the reports proposals are also on the air to facilitate the trade between Bangladesh and landlocked nations like Bhutan, Nepal etc. The success of this initiative will lead other transit proposals between Bangladesh and India to materialize. Considering overall picture, the new agreements will lead to more regional interaction between India, Bangladesh, Nepal and Bhutan. If we opened the Siliguri corridor for free trade between 3 countries it will be helpful for the regional development. The Indian investments in the Bangladesh trasport sector will help Dhaka to solve the infrastructure problems much more faster, and will lead to the development of the country. According to the ADB report Bangladesh needed $2.4 bn to effectively join the proposed Asain Highway Network. At the same time India will get much more connectivity to the north-east. This will ease the strain on the Siliguri corridor. The proposals for powergrid intrconnectivity and the agreement for the transfer of terrorists will open a new era of friendship. What we have to keep in mind is the illigal migration, drugs and narcotics traffic in these routes. May be the talks between Indian foreign minister Mr SM Krishna and his Bangladesh counterpart Dipu Moni will lead much more partnerships between the two nations.